Markets skills to Create and Stay Open to Multiple Opportunities. Always keep options open. Only Networks when They need a Job. Then they wonder why it takes so long to land a position. Always Marketing / Networking within and outside the organization. Able to reach out to Their network and create 3 opportunities [ job offers] within 2 weeks. Interviewer asks questions to find out why they should hire you. 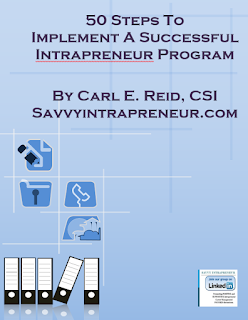 Asks questions to identify business requirement needs of the Client. Answers from Client also determines “Why should I work for You? Employee placed in beggar’s seat. Does not give away their bottom line. “I would consider any reasonable offer between [give your range], not a specific amount. Places themselves in the driver’s seat. Contract Negotiation. Stuff everything in a sneaker and ask for everything. Then compromises at negotiation table. Always waits until the next day to accept offer. 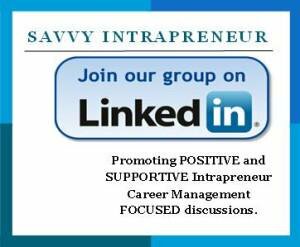 Tags # Interview Tips # Salary Negotiation # Who's a Savvy Intrapreneur"
Labels: Interview Tips, Salary Negotiation, Who's a Savvy Intrapreneur"